Prevention and Reversal of Cognitive Decline — Magdolna Saringer, M.D. The Bredesen Protocol provides a comprehensive presonalized program designed to improve cognition and reverse the cognitive decline of Subjective Cognitive Impairment (SCI), Mild Cognitive Impairment (MCI), and early Alzheimer’s disease. The program focuses on individualized recommendations for lifestyle changes: nutrition, sleep, exercise, stress management, and brain stimulation. Biochemical imbalances are treated with focused supplements, bioidentical hormone replacement therapy (BHRT), and biotoxin removal. The functional medicine operating system is a perfect setup for the Alzheimer prevention protocol. 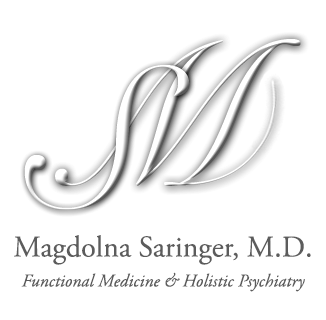 Dr. Saringer is a certified functional medicine physician, and received additional training from Dr. Dale Bredesen. If you would like to participate, visit Dr. Dale Bredesen.